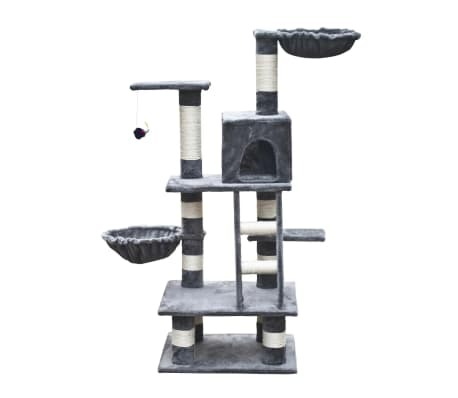 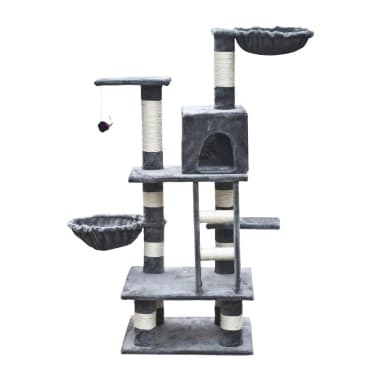 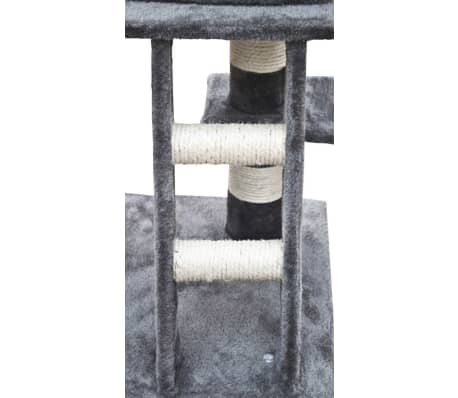 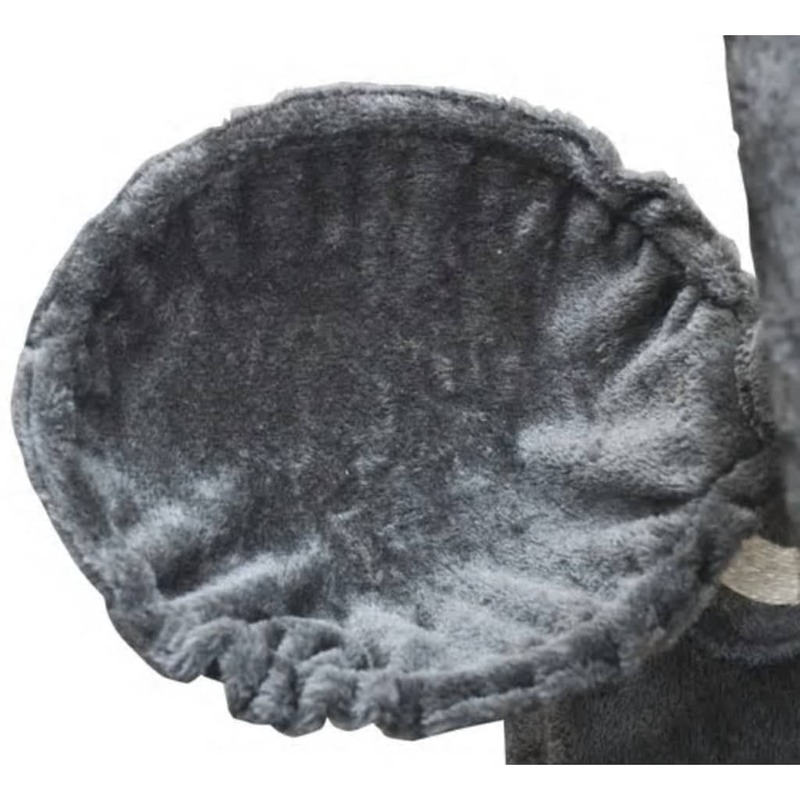 This fully equipped grey plush scratch post is 122 cm high and has a play string, a ladder, balconies and 2 hammocks where your cat can rest comfortably. 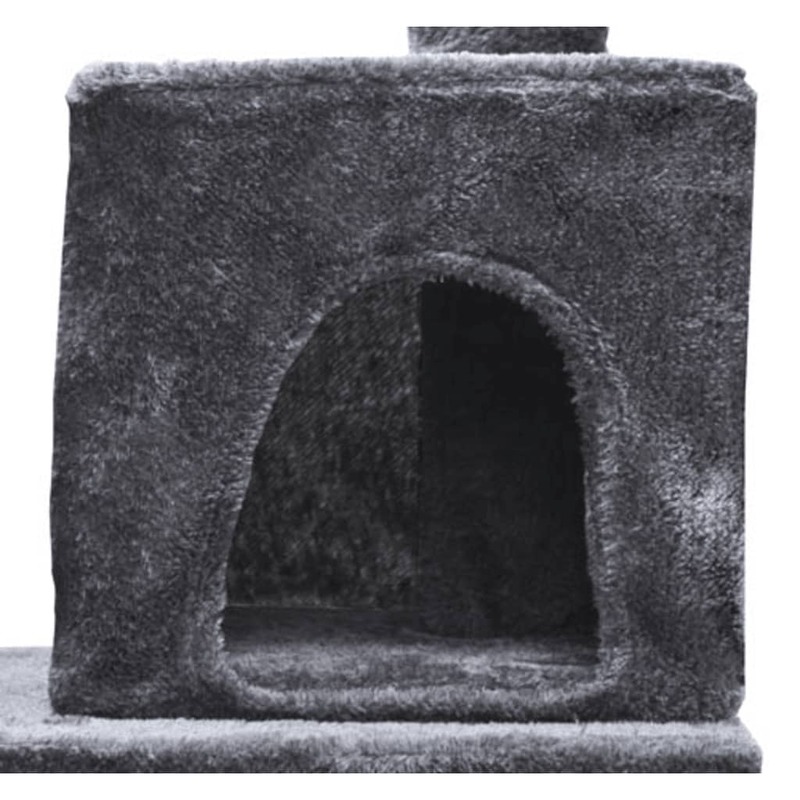 There is also a house where your cat can hide safely. 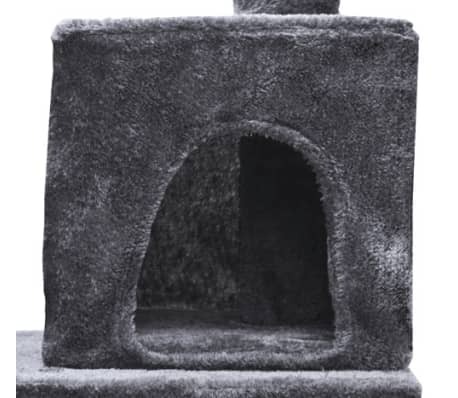 The scratch pole will provide your cat with its own slice of paradise in your home and a haven to relax in. 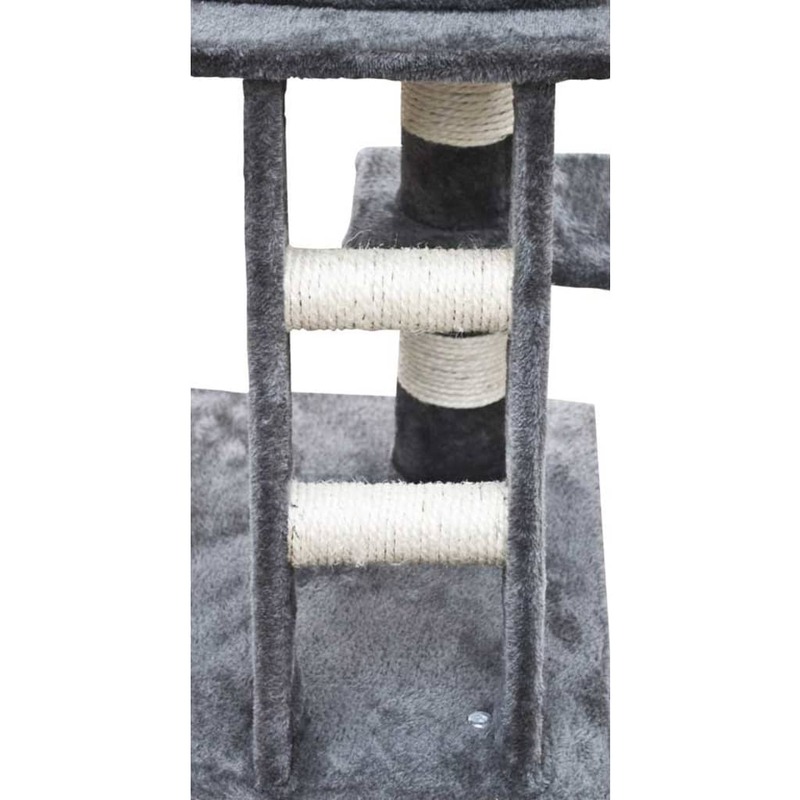 The whole cat gym is entirely covered with very soft plush fabric and sisal and will keep your cat busy for hours. 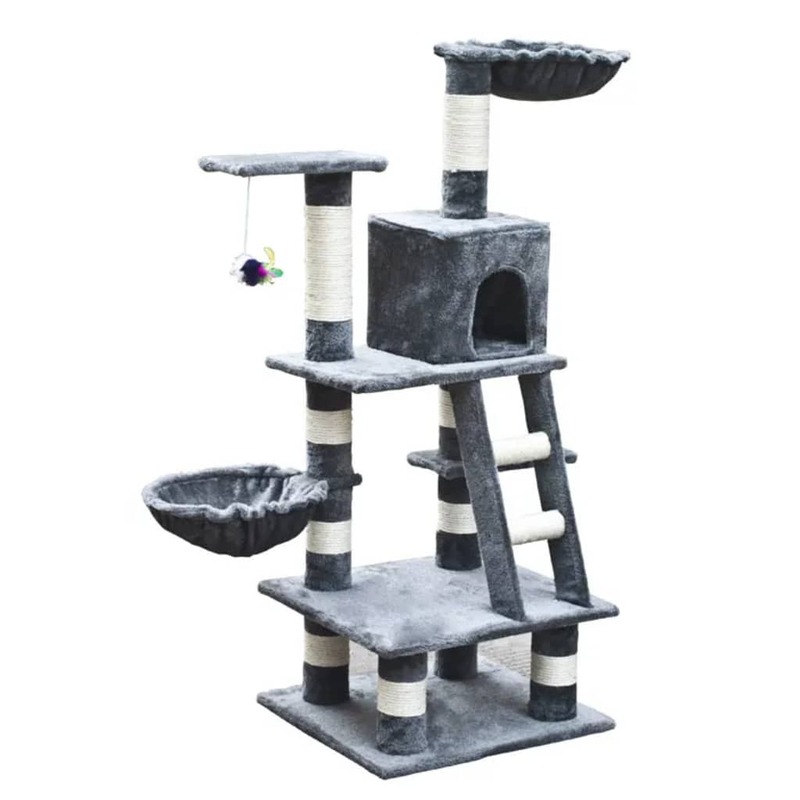 This cat tower is characterised by very good workmanship and a large stable construction and is suitable for multiple cats.